Come next week, you'll be able to commit vehicular felonies and solicit prostitutes, courtesy of your phone. Remember how Rockstar revealed that it was going to bring Grand Theft Auto III to mobile platforms? 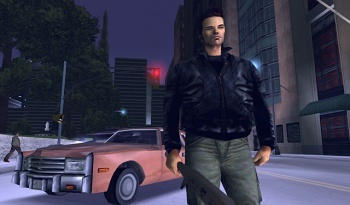 Well, it turns out that the publisher's about to launch Grand Theft Auto III: 10 Year Anniversary Edition for both Droid and iOS.